Each man born into the world is born to go a journey. hi, i am so happy to hear from you ~~! 我是搭火車由Uyuni（from where ppl go to the salt lake)去valizon（the border town on the bolivian side) 出境到阿根廷的，this is the easiest way. but the train does not run every day. you need to check the schedule. also, you may need to check if the train will run to/from valizon. they may suspend the service. if no train running, just take a bus. Hola Candy, I have been to salamanca and granada to study spanish. they both are good. but my favourite is granada. pls use search function of my website to find out more. I have answered similar questions before. Sorry I do not know any schools that provide belly dance classes. I’m Candy from Hong Kong. I’ve been learning Spanish in Hong Kong and just finished A2 beginner course. 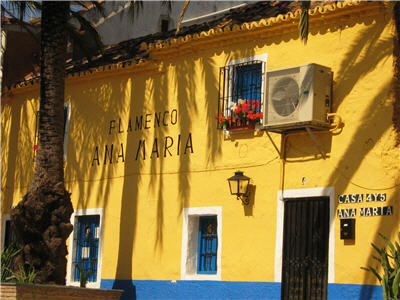 I would like to travel Spain and learn Spanish there. I have no idea how long I will stay yet and which school should I take. I have never been to Spain before and probably go alone. So could you recommend which city is good to travel and learning? Do you know any dance school in Spain included belly dance class? Btw, Would you give me your email address?